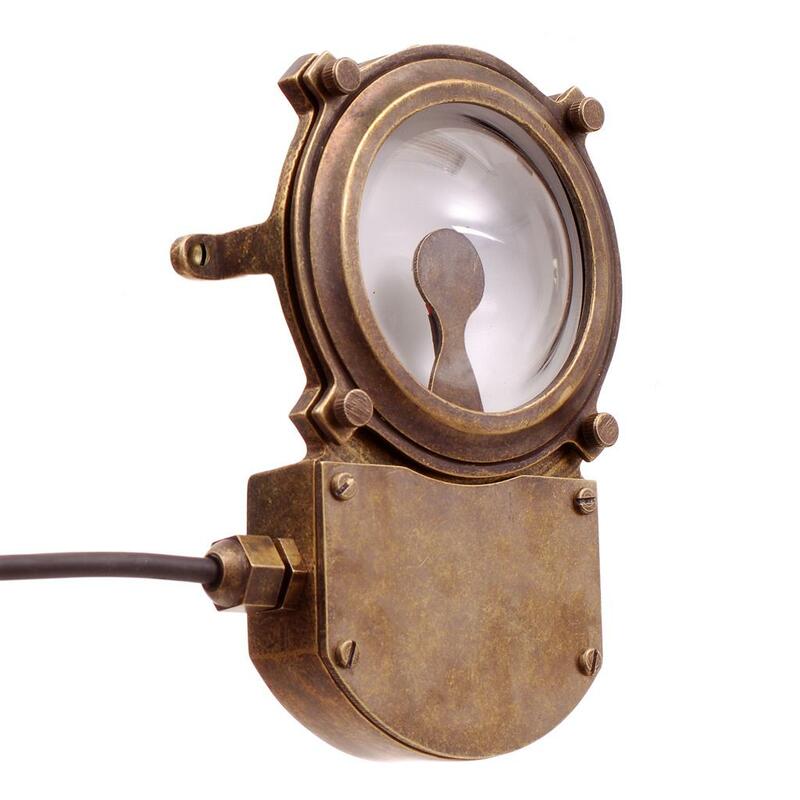 Be creative with your outdoor lighting! 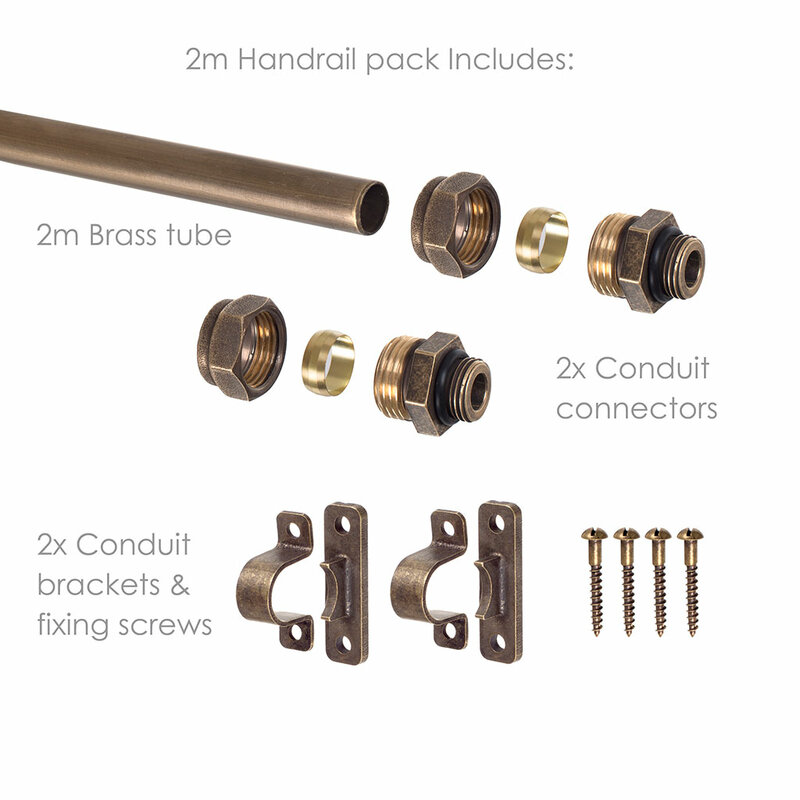 Add some extra interest to any outdoor lighting scheme by grouping your lights along a wall or pathway to create a stunning feature using our clever Conduit Junction Box, which creates an attractive solution when used along side one of our conduit kits. 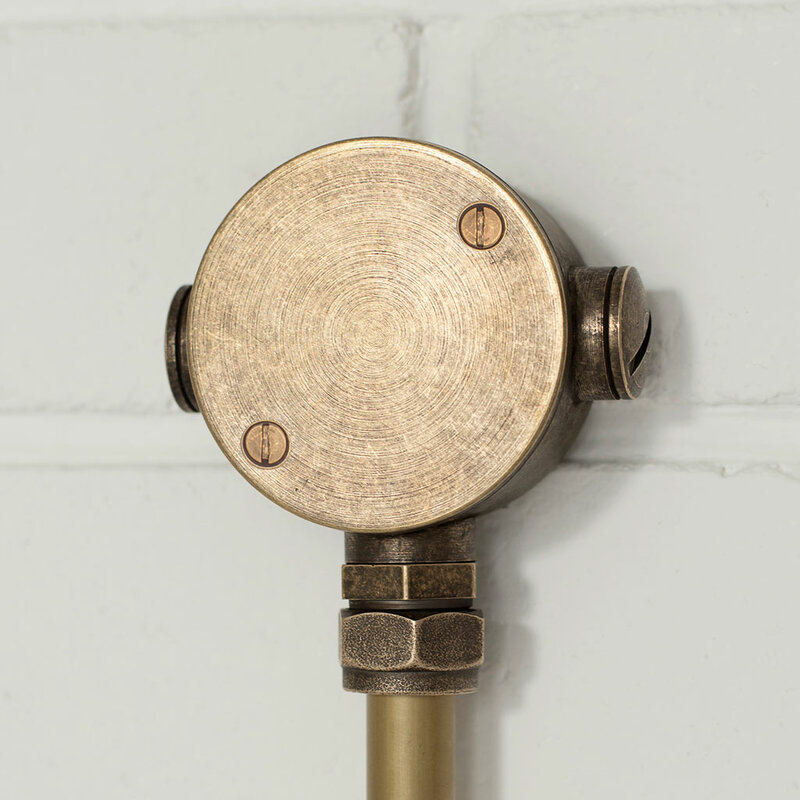 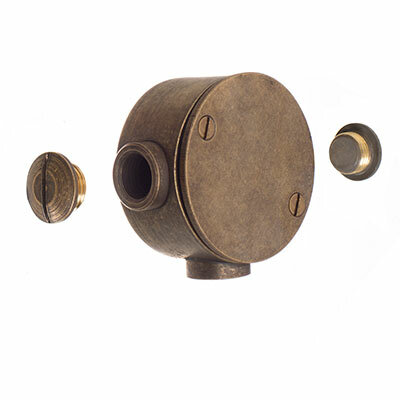 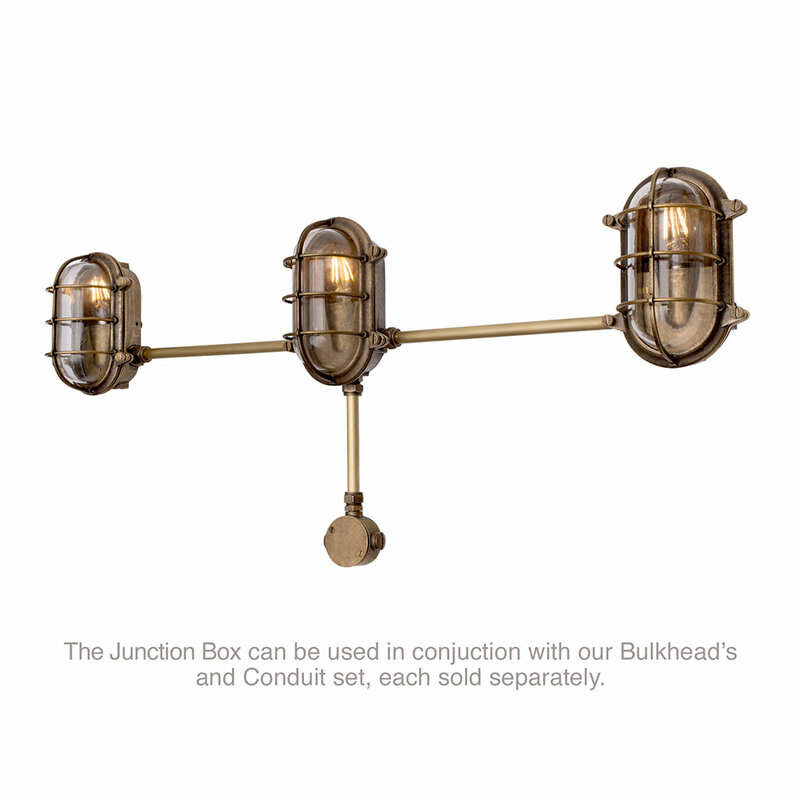 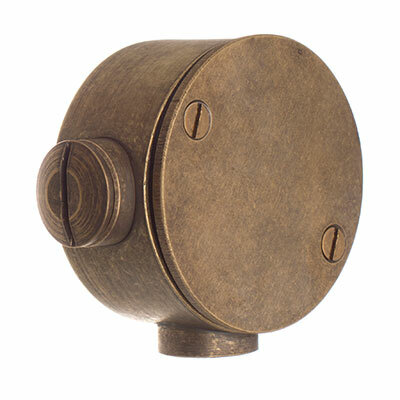 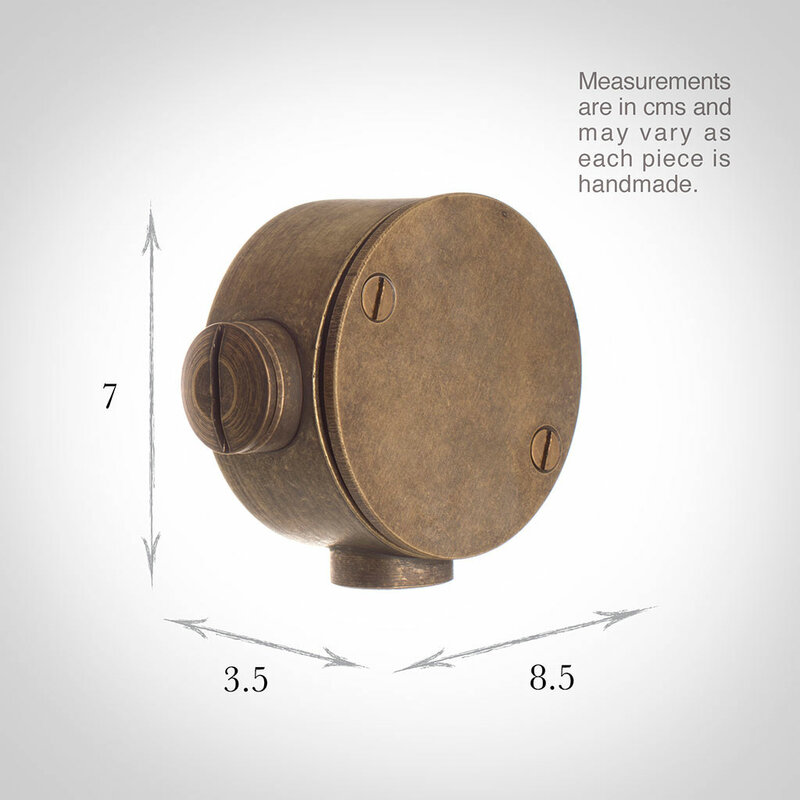 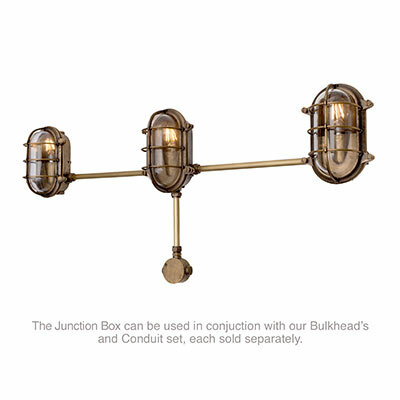 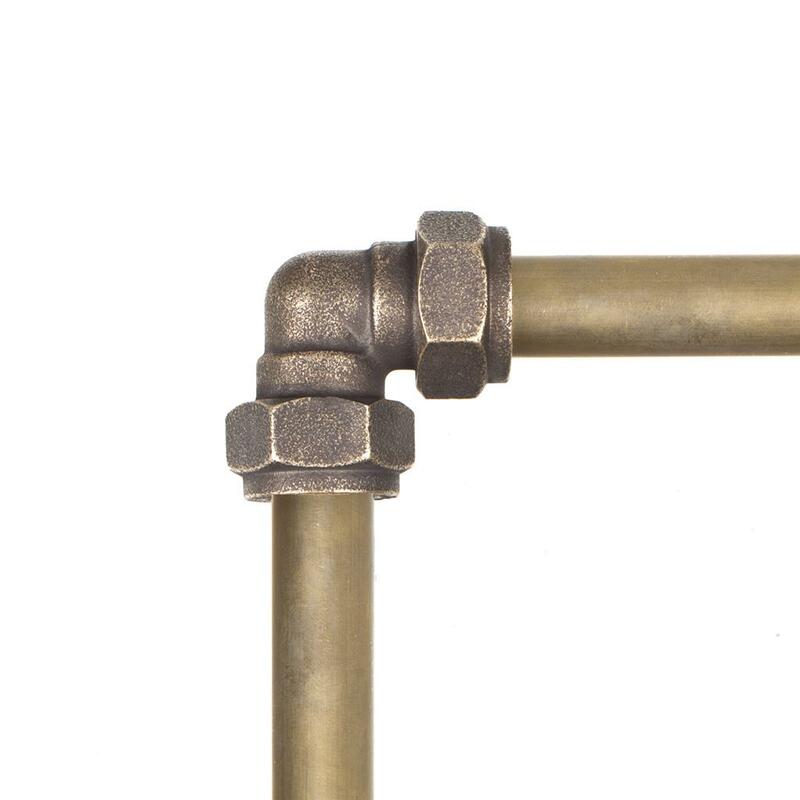 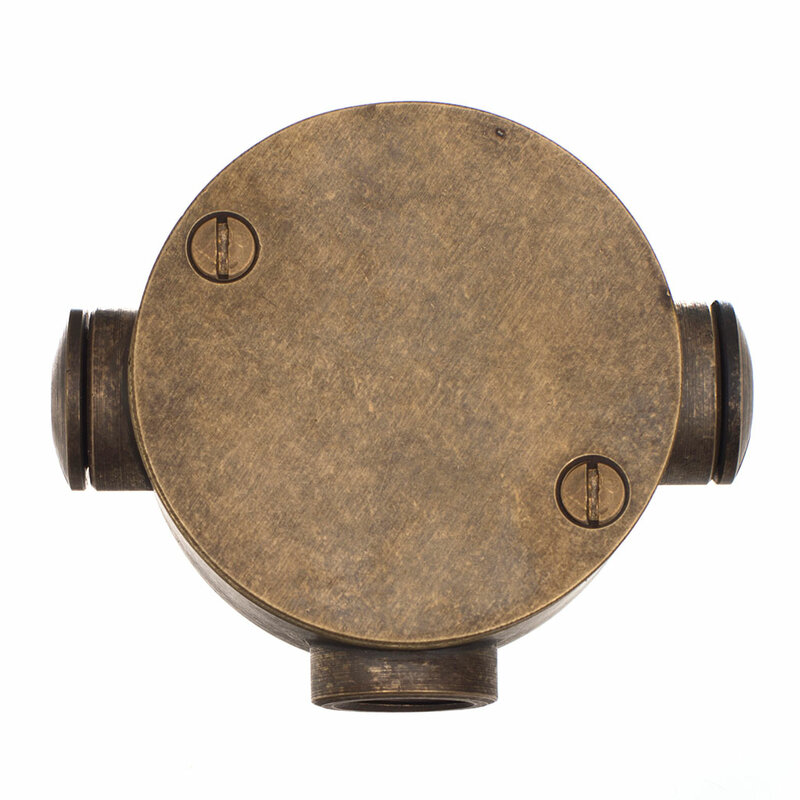 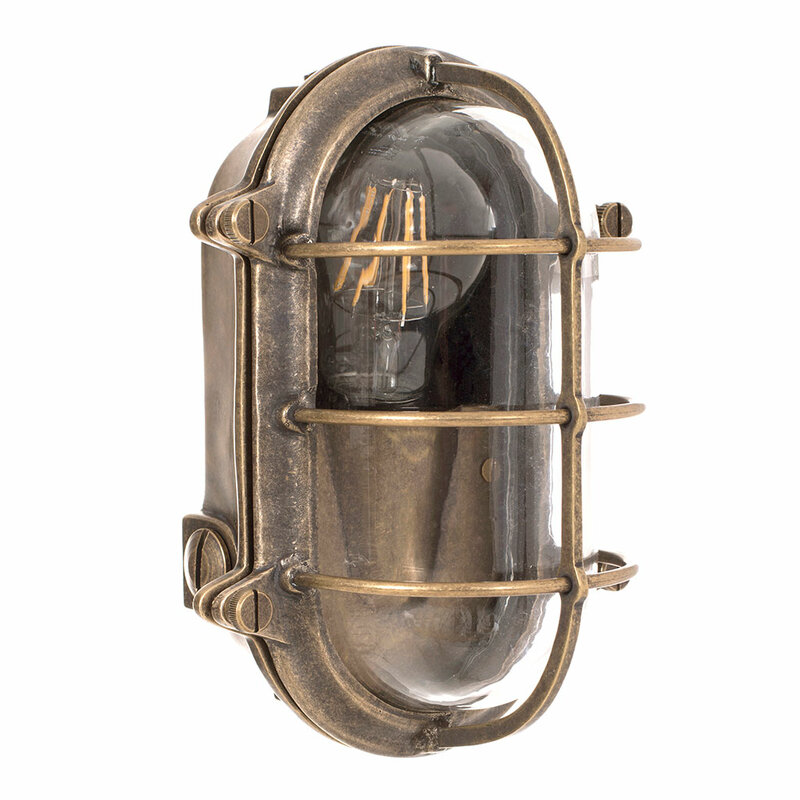 Our Antiqued Brass Conduit Junction Box is a stylish way to cleverly wire up and hide ugly exterior wiring while looking great - It can be combined with either of our Conduit Kits, Conduit Coupler, Conduit Elbow and our stylish Bulkhead Wall LIght or our slim Doncaster Wall Light, both are IP rated for outdoor use. 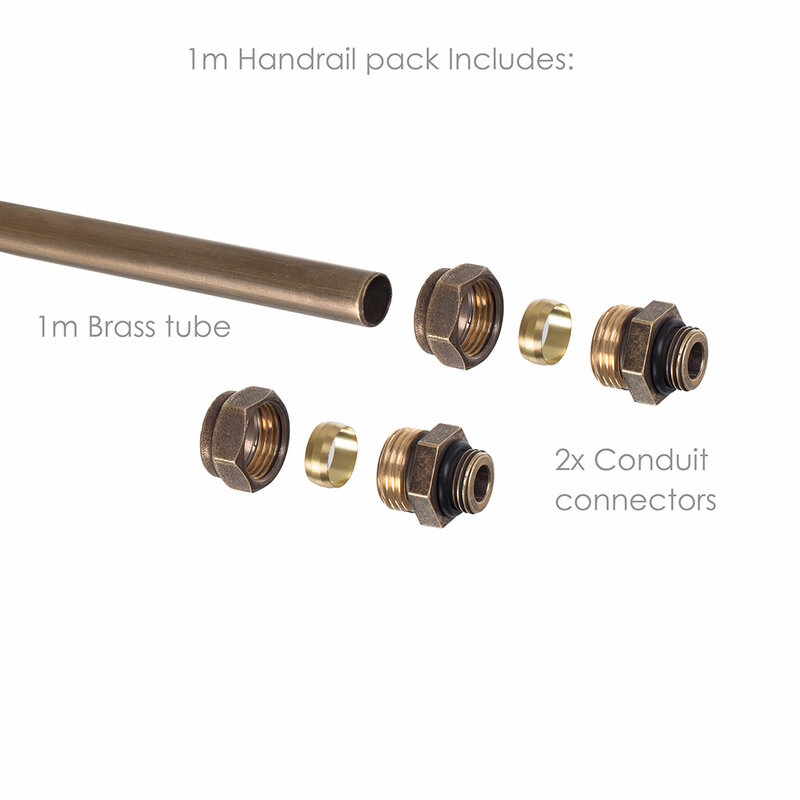 Additional Information: Please note for external use this junction box should be fitted with an IP rated connector as guided by an electrician.